It doesn’t look as though the beastly British downpours will retire any time soon, so we’ve taken a selection of rainy day essentials from the men’s Apache Online collection to get you suited, booted, and ready to take on the wet winter weather. 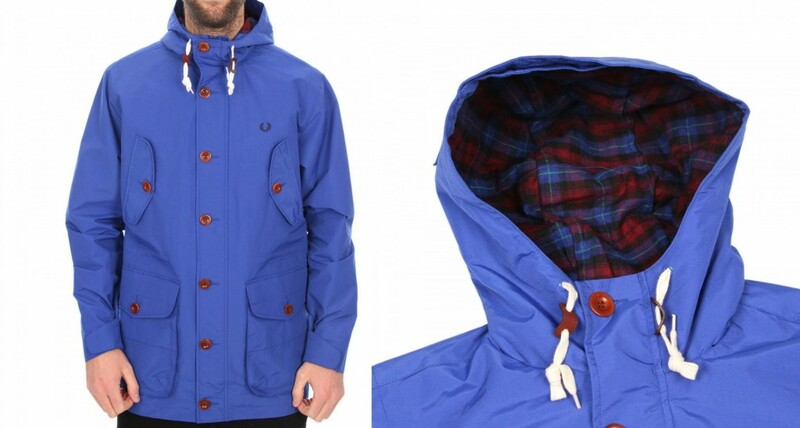 Kit yourself out with this killer style outerwear Parka by Fred Perry. Consider this Mountain Parka Jacket an all weather, all purpose coat that will see you through wind, rain, sleet and snow. This winter / spring 2014 jacket is designed to be layered so you can lighten your layers when, eventually, the delightful spring sunshine begins to make an appearance. Now on sale, the Fred Perry Mountain Parka comes in two colours; Regal or Port. 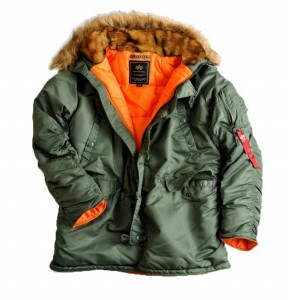 Alternatively, be winter ready with this bomber style Parka Jacket by Alpha Industries. We love this because of its classic U.S militant design with a hood that will keep your noggin perfectly warm and dry. The Alpha Industries Parka is built for durability and protection against the elements with its reinforced elbow patches and a full-length storm flap. Its nylon outer shell ensures that no cold air seeps in, helping you make it through to spring. Check out the Sage and Black colour-ways. During the winter season we are inundated with the colour grey. Typically we’d opt for darker colours during the dreary autumn and winter months, but Apache are saying it’s okay to brighten up your wardrobe and inject some colour into your outfit. 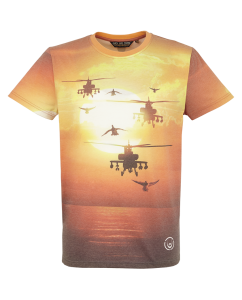 Take this Costello Sublimation Print T Shirt by Duck and Cover, one that will combine perfectly with that orange-lined Alpha Industries Parka coat! So, warm up your appearance and embrace a little colour with Duck and Cover clothing. 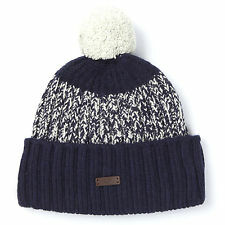 If you can pull off a little headgear, then we’re directing you towards the Twisted Yarn Bobble Beanie Hat from Fred Perry. This winter-warm Fred Perry accessory is constructed of flecked wool mix fabric, a contrast knitted bobble, complete with the iconic Laurel Wreath emblem tab. Overall, a supremely warm accessory to top off any rainy day outfit. Lastly, the Mini Classic Shoulder Bag by Fred Perry. Even the smallest of accessories should pack a whole load of style and this practical PU leather effect number will keep all your contents from getting soggy. Apache Online have a whole style range of rainy day Fred Perry bags, which you can view right here. Shop the latest winter drops at Apache Online, UK.